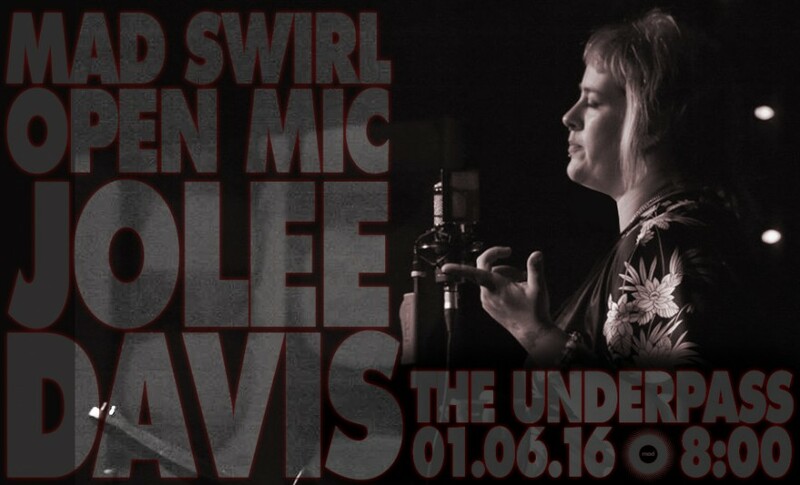 Oh what a night it was in the land of Swirl’n mic Mad-ness! This past 1st Wednesday Mad Swirl-abrated the new year at our new open mic home at The Underpass. Huge SHOUT-OUT to this month’s feature, Dallas Poet Jolee Davis. If you were there to taste the poetic stew she stirred up, then you know how MmmMmmMadlicious her set was! HUGE thanks to Swirve (Chris & Tamitha Curiel, Gerard Bendiks) for keeping the beat til the wee hours of the night. We got taken to another dimension of time and space on the wings of their jazzy madness!